You will find a great selection of Brazilian foods in the two restaurants of the Tropical Hotel Manaus. Choose from the different bars at the Tropical Hotel Manaus options for drinks and light meals. At the Tropical Hotel Manaus, you'll enjoy the best of both worlds on your vacation in the Amazon - an extraordinary experience in the rainforest with Brazilian food and entertainment at the best of Brazil's hotels. Hold your next events or conferences at the Tropical Hotel Manaus, located at the entrance of the majestic Amazon Forest. Your guests will be fascinated by the Amazon Rainforest while taking advantage of the comfort and convenience offered by this fantastic eco-friendly luxury hotel. 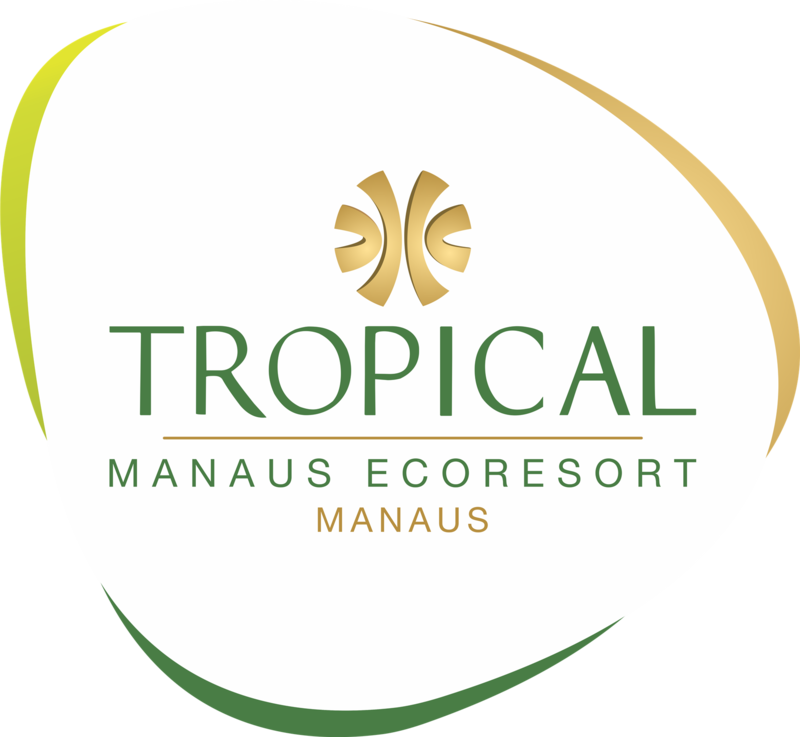 Your next corporate or social event will be a guaranteed success at the Tropical Hotel Manaus, an eco-resort that boasts excellent accommodations and meeting facilities with up to 1,200 guests. The Tropical Hotel Manaus, eco hotel and conference center, along with its guest accommodations, will surely transform your corporate or social event into a success. Conveniently located near the reception and lobby of the hotel, open from 09:00 am to 11:00 pm, Tropical Lobby Bar at Tropical Manaus offers snacks and drinks. It is an ideal spot to relax and have a cocktail. CLICK HERE TO SEE THE DETAILED PLANT! The convention center offers 15 elegant meeting rooms with 3,222 square feet that can be configured to meet the needs of your business. Whether you are planning a meeting, a retreat or a wedding, Tropical Hotel Manaus can help you with your event. A versatile space for banquets and meetings is available to host an unforgettable event in the heart of the Amazon Rainforest. CLICK HERE TO SEE THE CAPACITY MAP ! !